When it comes to effectively getting your message distributed and read by a large group at your event or conference, text messages knock the ball out of the park. Using text message alerts and announcements are the most effective way to reach the most people and be sure your is actually reaching the people you want to receive it. 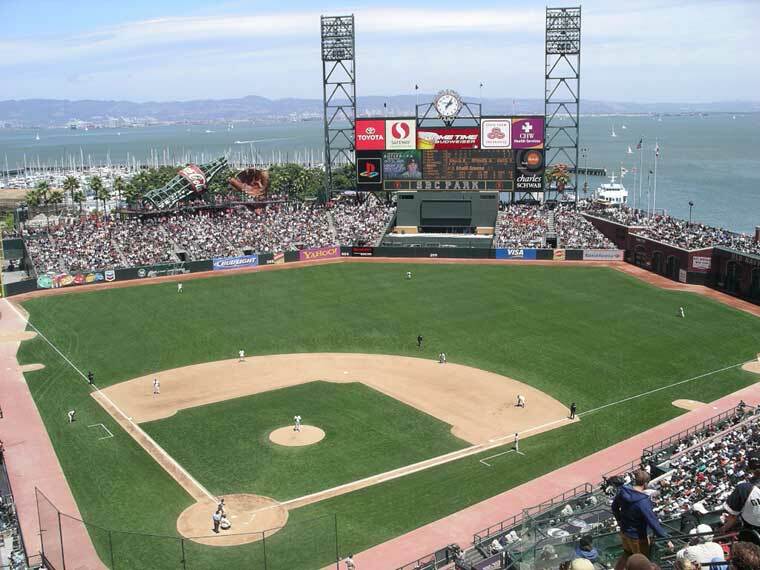 Last weekend, the San Francisco Giants were playing and I took my place as the 10th player…on the couch 🙂 It wasn’t long until Buster Possey, our catcher who has a .281 batting average, stepped up to bat. In baseball, a .281 batting average, getting a hit just under 1/3 of the times at bat, is pretty good- it gets you a key position in the lineup and millions of dollars a year. While I moonlight as the 10th player from my couch (and I maintain that my popcorn eating & cheering is critical), if I tried to sell a service that only connected with its intended audience 28% of the time, I certainly wouldn’t be the rookie of the year. I probably wouldn’t even have a business. Just 28% of mobile phone users in the U.S. have smartphones. Meaning, if you’re counting on getting a message out to your conference or event attendees with an app, you only have a chance with 28% of them. And that’s if all of them use the app. More than 90% of text messages are read, meaning they are a better medium than email or mobile apps to reach your attendees on-the-go. 1. Text alerts for schedule updates: When timing at your event changes without warning, the fastest way to get the word out is by text. 2. Text alerts for evening events: If you’ve got some events that are happening after-hours that you want to remind people about, sending a well-timed text is perfect. 3. Send out live live polls and surveys via text message: Attendees at your event are on the go, but they’re also at the point of experiencing your event in real-time. This is the best time to get relevant and good information from them through a live poll. 4. Send text announcements with special offers: It’s good to keep some things a surprise at your event, and when you want to make a secret party, speaker, or prize winner known, text message is an instant way to reach everyone. 5. Text announcements for keynote speakers: Is there a link your keynote speaker references that you want everyone in the audience to have access to? Text it to them at the end of the speech. 6. Text announcements for real-time access: Send updates and announcements in real-time for anything that needs to be known instantly by your attendees. 8. Text message marketing for corporate sponsors: Adding the name of your event sponsors to the bottom of conference text messages increases exposure for their promotions or contests, and your revenue. View pricing and sign up for a free trial now! Nowadays, town hall meetings are very common to discuss any concerns or host celebrations. The main goal of these meetings is to gather everyone together and have some sort of announcement. Many town hall meetings have a Q&A session, however, in many cases, people don’t participate. Text messaging is an event technology service which can help encourage attendees to participate by asking questions and offering feedback. One of the major advantages to text messaging is it allows someone to ask a question or provide feedback anonymously. Some people are not comfortable providing feedback in a public setting in front of a group of people. If you give people an opportunity to provide their feedback or ask questions anonymously, you will increase participation. In some town hall meetings there isn’t a Q&A session available to attendees due to time constraints or the number of people in attendance. By using text messaging, you will give everyone a chance to ask their question or submit their feedback, without the need to wait their turn in a long lineup. Also, you may collect questions and feedback at one meeting, and then address them at the next meeting. This will help save time, as perhaps one topic that is scheduled does not need to be discussed as there aren’t any questions on it. If town hall meetings are held in a big corporate event, or political, environment, then almost no questions are answered directly anyway. So, there is little incentive for people to stand up and try to be heard in a big group of people, if it’s likely their question won’t be answered anyway. Text messaging allows not only the people in attendance to ask a question, but also it allows the meeting moderators to screen the questions, in case someone is submitting something that is inappropriate. By collecting questions via text message, the event coordinators, moderators, or anyone else can send answers back should they choose as well. Text messaging has many benefits to help ensure a productive town hall meeting, especially since it allows anyone to have their say. For your next town hall meeting, why not give it a try? Meetings are a crucial aspect of any business, as they allow to exchange ideas and bring up any issues that might exist. Because meetings are so crucial to a company you want to ensure that you are making them as engaging as possible and allow attendees to freely express themselves. By making meetings as engaging as possible, and allowing for easy feedback and participation, you can increase meeting efficiency. Are your company meetings as effective as they should be? Probably not, because not all participants will provide feedback or ask questions in an open setting for any number of reasons. However, your meeting will never be as efficient as it should be if your attendees do not provide any feedback at all. You need to come up with a way to allow everyone to speak their mind, and encourage them to provide feedback. This method of providing feedback also needs to be easy to use, inexpensive, and not time-consuming. Text messaging is the answer to the question “how to have an effective meeting” because it helps attendees provide their feedback instantaneously and anonymously. Essentially, text messaging gets rid of two issues: Time, and Comfort level. If you have large meetings, not everyone will always have a chance to say their piece, especially if they need to wait in a line or go up to a podium. Likewise, not everyone is comfortable providing their feedback in a setting where all eyes are on them either. Therefore text messaging not only allows everyone to have their say but also allows those that aren’t comfortable being in the spotlight an outlet which doesn’t make them uncomfortable. Now, that isn’t to say that everyone who texts in some feedback or a question will have it answered right then and there. As mentioned before, some meetings are rather short, and it wouldn’t be possible to field 100 to 150 different questions or concerns. However, those questions, concerns and feedback can be stored for later use, rather than have them not be received at all. Every business or company should use text messaging in order to make their meetings more effective. Some companies and businesses may choose to go with a complete ARS (audience response system) but those can be costly to set up, and time-consuming to get everyone using correctly. If you want a low cost, easy to use way to get more people to participate in meetings, then you will definitely want to consider text messaging. 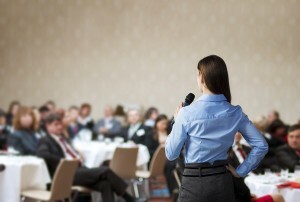 Corporate events are crucial to a company gathering feedback and input from business partners, employees, and clients. Therefore, it is essential that the event is engaging in order to collect the maximum amount of feedback. Many times organizers of these events fail to make the event as engaging as it could be. For this reason, starting to incorporate text messages can be a good start to making your events more engaging, and thus more successful. It is often considered alright if your employees wait in line and give their comments by being passed a microphone or standing in front of a podium. However, can the same be said for your clients and business partners? 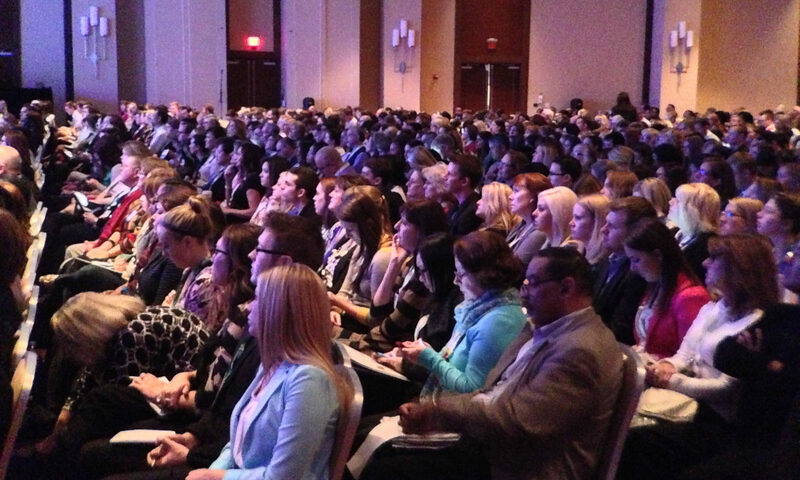 What if you have 1,000 attendees and everyone has something to say? It can be embarrassing, and frustrating if someone leaves a corporate event without being able to have their say. Text messaging not only allows everyone who wants to chime in chime in, it also allows them to do so in a more anonymous way. 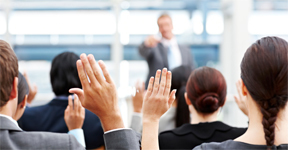 Traditionally in corporate events attendees need to stand up to ask a question. As a result, some people may not provide feedback because they don’t like to be in the spotlight. In some cases employees are afraid of asking questions on misconduct or some decisions the company is making. This cuts down on crucial feedback the company needs in order to move forward. By adding a layer of anonymity, more people are encouraged to speak their mind. By using text messaging, you are allowing attendees the choice of if they want to give their feedback or ask questions via their phones or e-mail. Also, by ensuring that all questions being asked are being shown on a screen somewhere, it helps to cut down on duplicate questions. This also encourages more engagement because attendees can see that other people may have the same questions or feedback they do. Make sure you also have the option to moderate questions and not post all of them to the big screen. Some questions are of a more sensitive nature, and not meant for the public eye. By making it a choice if the question is posted or not, you give attendees the security to ask what they want, without risking exposing some sensitive issue that may not have been brought up initially. See, not only can anonymous text messaging make the attendees more comfortable about asking questions and providing feedback, you won’t miss out on any feedback due to needing to wait one’s turn to chime in. See Mosio for Events Pricing and sign up for a free trial. When should you use text messaging as part of an audience response system? Audience response systems are one of many vital components to town hall meetings and corporate events, especially today. In fact, it is commonly believed that this is the absolute best way to increase engagement and get feedback from your audience. ARS systems are one type of wireless equipment that can be used to collect feedback, such as on web polls. These systems can also be used for a variety of other real-time response data collection such as; dial-testing, perception analysis, an audience response meter and more. However, many events and town hall meetings are using a text messaging system as part of audience response instead of a complete ARS system. How does text messaging stack up to an ARS system? 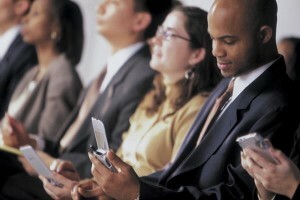 Text messaging is low-cost, or sometimes free, for the audience attending a town hall meeting or corporate event. Text messaging is also a preferred method because almost everyone has a mobile phone, and 98% of mobile phones can send and receive text messages. On the other hand, ARS systems are fairly pricey because you need to buy the whole system with enough hardware to cover everyone in your audience to ensure everyone can participate. Another advantage to using text messaging is that it is easy. With ARS systems you need to coordinate with an onsite technician, and there are more things that can go wrong. With text messaging, the equipment everyone has, and it only relies on the mobile carriers to work. You also don’t need to worry about buying or renting additional equipment, which may or may not be readily available before your corporate event or town hall meeting. 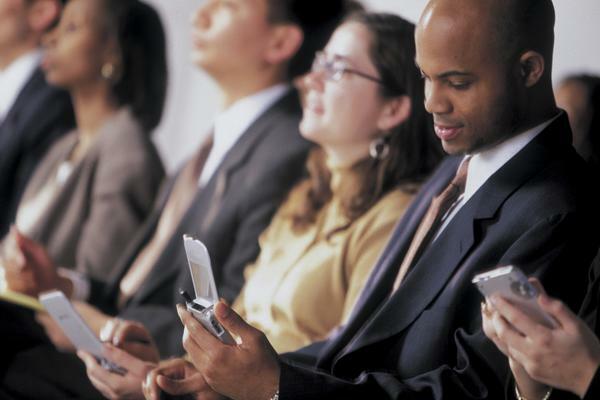 With text messaging, you won’t need to explain to everyone at your event or meeting how to use their phone. On the other hand, with an ARS system, you will likely need to go through a 5 to 8 minute introductory speech so that everyone knows how to operate the additional equipment. It’s also important to note the range of an ARS system might actually not be enough to get your whole audience, especially at larger events and meetings. Whereas, as long as there is a signal, people will always be able to text. It’s not hard to imagine how using text messaging can increase audience responsiveness. 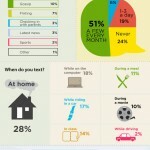 Almost everyone has a cell phone, and the majority of those text on a regular basis. 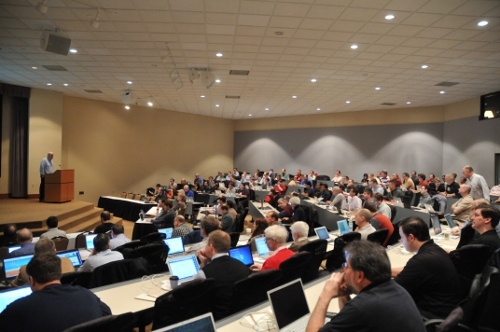 There is no question that ARS systems are exceptional for town hall meetings or corporate events, however, text messaging is becoming more popular due to its ease of use, price and compatibility with the audience. Town hall meetings are very important as they are used to discuss any outstanding issues which come up and make a good decision. During the meetings, the attendees can raise their hands in order to ask a question, offer an opinion, or raise concerns and issues. But, why are we using this old fashioned method when we live in the digital age? Also, many attendees may not be comfortable fully expressing themselves in such an open way. This results in only some people participating in town hall meetings and can lead to some issues not being resolved. Using text messaging for audience question & answer sessions is the best solution for town hall meetings because the attendees do not need to hold a microphone to ask their questions, offer an opinion, or raise a concern. Additionally, attendees often feel more comfortable being able to provide their feedback in an anonymous way. Mosio for Events is a web based software package which will help you to make any town hall meeting more engaging, by allowing anyone to participate quickly, easily, and anonymously..
Mosio for Events offers a system which connects all attendees who have a cell phone at the town hall meeting, and can be easily managed using a web-based back end. The attendees are able to send any questions, feedback, or concerns by simply sending a text message from their phone. Their feedback can then be shared with the rest of the attendees on a screen by using a projector. Moderators can choose which messages they wish to share on screen with a simple click of a button. While the message which is sent is displayed on the screen, the sender’s information, such as name or mobile number, is not shown. This allows for completely anonymous feedback and promotes engagement from those who are worried about having their name attached to it. Using text messaging for collecting questions, feedback or concerns at a town hall meeting has many advantages. The system is very easy to use and is better than an app because not everyone has a smart phone, but 98% of cell phones can send and receive a text message. The fact that it is anonymous allows those that are too shy to share something by standing in front of an audience to voice their opinions as well. Sometimes, meetings are very short and not everyone has a chance to have their say. By using text messaging many people can submit their questions or feedback and it can be reviewed at any time. In conclusion, there really isn’t a better way to make town hall meetings more engaging than with text messaging. 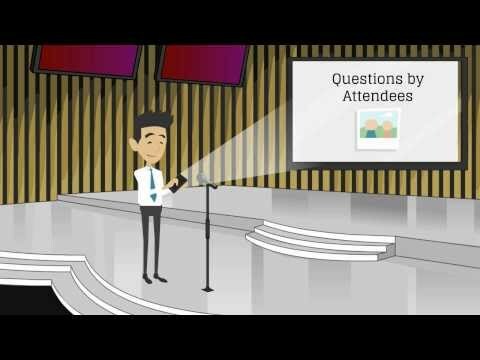 Mosio for Events will help make your next town hall meeting more engaging, and allow your attendees to submit their questions and feedback more easily than ever before. There are many different ways you can make your event more engaging. If your event is not engaging enough, attendees could lose interest and you could miss out on important information. Therefore, it is extremely important that you utilize the proper event services in order to ensure maximum engagement. Text messaging is one of the best event services you can use to make your event more engaging. Since most people are used to sending and receiving text messages from their family and friends, they will also feel more comfortable submitting feedback and questions at an event that way as well. Text messaging is one of the key tools you can use to ensure that the majority of your attendees can participate. Over 98% of phones can send and receive text messages, so almost everyone at your event can participate. Most people are very familiar with text messaging, and it is easy to use. There are very few people who do not know how to send and receive text messages. If you can include text messaging in your event services, you are likely to increase attendee engagement a good amount. Text messaging makes it extremely easy to send important alerts to your attendees as well. Since 98% of all phones can send and receive messages, you can rest assured that more people will get the important updates you send out. Sometimes the scheduling or venue of an event can change at a moment’s notice, and you need a way to notify all your attendees. It can be difficult and cumbersome to reach all your attendees with this important information on time. Phone calls need manpower, not everyone will have access to e-mail, but almost everyone will have their cell phones with them. Since 98% of mobile phones can send and receive text messages, you’ll be assured of reaching almost everyone you need to by using text messages. While it is true there are many different software programs and apps available for use at events, not everyone has a smartphone or a tablet. It’s also possible that attendees will not want to go to the trouble of installing a new piece of software on their device. By using software, you then also need to tell your attendees how to use it, and this can lead to frustration and you could actually wind up decreasing your overall engagement at your event. Text messaging is simple to use, cost-effective, and over 98% of mobile phones are equipped to handle it. If you make it easy for your attendees to participate, it is more likely they will. Almost everyone can send and receive a text. In conclusion: Text messaging can not only increase engagement, but it is also easy to use, doesn’t require additional software, and won’t break the bank. You should give some consideration to including text messaging as an event service in your next event or town hall meeting. Running a hotel can be a lucrative business, but managing customers and keeping on track of the state of your hotel can be a hard challenge to maser. Luckily, there is software out there that can help your life as a hotel manager a little easier. It will still take effort and practice, but with the help of some easily available software, your job as a hotel manager will be a lot less stressful, and even experienced hotel managers could probably agree that using software to help run your business can keep you afloat. Asking for the stranger in front of you at your local post office, airport, train station or theme park to hold your place in the queue isn’t exactly a sure-fire way to reserve a spot whilst you’re out doing other things, so until we have an alternative, waiting in-line may be the only option. It may not be long till we do have an alternative though- a software company has developed a system that can allow people to reserve a spot in queue by sending a text message to the place they need to queue at. In essence, you’ll still be waiting in a queue, but in a virtual world, instead of in a physical space. Text messaging has come a long way from being a one-way short messaging service (SMS) into an engaging interactive medium for businesses to speak with their customers. From mobile marketing to customer feedback to text-to-screen shout outs at events, text messaging services are being used by companies and brands to communicate with consumers wherever they are. The helpful infographic below breaks down the various industries and use-types. Text messaging is the most popular channel on the mobile phone and this info shows that all companies and brands can benefit from using it as an incredible engagement tool for customers on-the-go. If you are looking for a two-way text messaging service for your business, let us know if you have any questions. We’re happy to help. We love infographics, so when this was sent our way, we figured we’d post it,especially since it lists a few (of many) of the benefits of texting. Businesses, non-profits, schools, libraries and event managers use our platform to provide their customers, members, students and attendees with best-in-class text messaging services and we are fortunate enough to be in a segment of the mobile industry that all mobile users are familiar with. The infographic below lists some of the great benefits of text messaging, including Social Therapy, Sunscreen Adherence, Curbing Alcohol Intake and Encouraging Prenatal Care. Special Thanks to OnlineCollegeCourses.com for the share! 55% of those who exchange more than 50 messages a day say they would rather get a text than a voice call. Cell owners between the ages of 18 and 24 exchange an average of 109.5 messages on a normal day. (Read: 55% of those between 18-24 years old would rather get a text message than a phone call). Text messaging users send or receive an average of 41.5 messages on a typical day, with the median user sending or receiving 10 texts daily. For businesses looking into text messaging services for their customers or employees, this research offers even more data that SMS is not a channel that can be ignored. Implement text messaging into your business services and you’ll be connected with more people the way they prefer on their mobile devices. We communicate differently than we did twenty years ago; or even ten years ago. For 12-17 year olds, texting is the main form of communication; in fact, it’s more popular than face-to-face, phone calls and emails combined. The average American teen sends over 3,000 text messages a month. And, though 25-35 year olds make up a relatively small portion of the population, they are responsible for a large number of text messages sent in the US. In short, texting is huge. Many providers of goods and services have caught on to the trend and are now offering free coupons via text messaging services. If the trendy new frozen yogurt shop wants to get the word out, using a text messaging advertisement business may be their best bet. Our cells are never far away and we check them even if we don’t suspect we’ve missed a call. Why? Maybe because we’re obsessed with our phones. Consequently, text advertising makes tons of sense. Just as our communication habits have changed due to technology, marketing and advertising must also change to keep up with our latest tendencies. Text message advertising is a timely and effective form of advertising that’s especially suited for a generation that’s constantly on the go. The sooner a consumer hears about a deal, the sooner they can act on it, which drives immediate business and revenue. Cell phone users send a six-character code to a business, which essentially tells them: “Hey, I love your frozen yogurt. Keep me updated on it!” Once the business receives the code, the sender can later receive alerts, announcements, promotions, links and coupons straight to their mobile device. Consumers receive information straight to their phones without the hassle of email and computers or standard mail and postage rates. Advertising companies no longer have to spend crazy amounts of money. Recent studies show that text advertising reaches a massive audience. Taking advantage of a free coupon via text doesn’t require a smartphone, installation of any apps or even Internet access. The only absolute requirement is a text-enabled phone â€“ pretty much any phone on the market â€“ and a standard text message plan. Cell phone users value real-time advertisements and are more likely to act on an ad that implies a sense of urgency. You also target a specific audience, so if your business operates in a college town or if you sell products that are geared towards teens, texting is one of the best ways to get their immediate attention and keep them hooked. Text advertising businesses also offer real-time event coverage. If your business is conducting a conference, fundraiser or gathering, keeping your attendees and outside consumers in the loop can be difficult to do without spending a lot of money. Text message marketing allows you to keep users updated, run a mobile conference website with an itinerary and stay in touch after the event. This service is especially useful for smaller business that may not have a big budget for advertising. Pricing for these services is considerably cheaper than that of standard advertising methods. You also have the opportunity to reach your direct audience and only send information to people who ask to receive it. Your advertisements, then, will never fall on the wrong people, arrive unwelcomed or go unnoticed. Talk about bang for your buck!